Was there really need for a reboot of Hellboy right now, released a week after the blockbuster Shazam! and two weeks before the anticipated mega-blockbuster The Avengers: Endgame? A reboot, this is the third live-action film in the Hellboy franchise. As is well-known, the supernatural superhero is based on the Dark Horse Comics character, which the brilliant Guillermo lel Toro had made into a cult movie. The project began as a sequel to the 2008 Hellboy II: The Golden Army, with Andrew Cosby and Hellboy creator Mike Mignola writing the script. However, del Toro was not given the same power and control he had in the first two films, and Ron Perlman, who portrayed Hellboy in them, refused to return without del Toro’s involvement. Poorly directed by Neil Marshall, the film stars David Harbour in the title role, alongside a talented ensemble, Milla Jovovich, Ian McShane, Sasha Lane, Daniel Dae Kim, and Thomas Haden Church. You cannot blame the actors; the major shortcoming of this Hellboy is conceptual. The new, R-rated fantasy film, based on Mike Mignola’s graphic novel, debuted below expectations with a disappointing $12 million from 3,303 locations. Heading into the weekend, the anticipation was for a domestic start of $16 million. 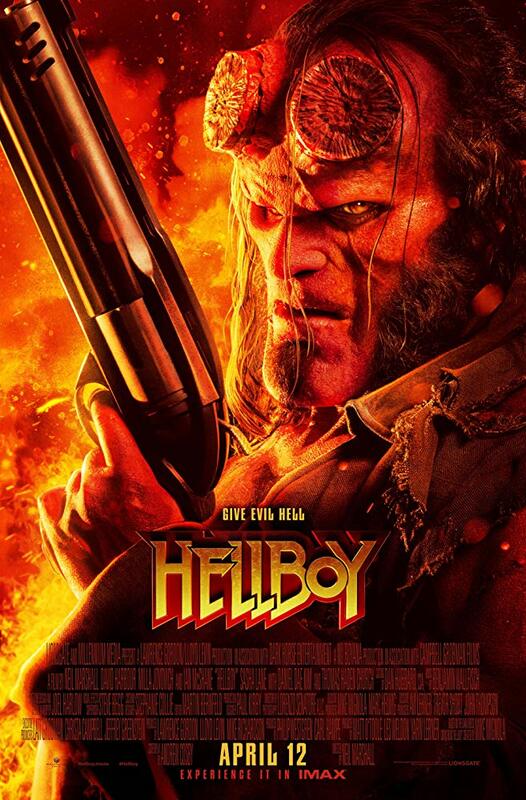 Overseas, Hellboy didn’t fare much better, earning $10 million from 41 foreign markets, bringing its worldwide start to $22 million.